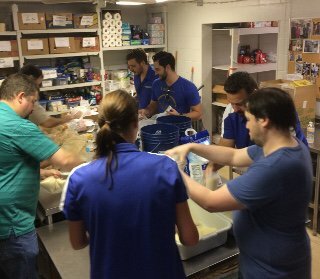 Community service is an important part of our culture at TalentKeepers. 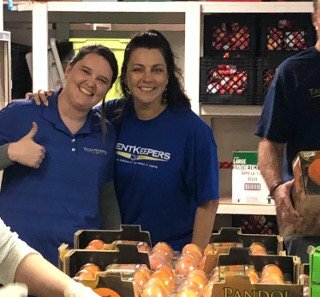 TalentKeepers employees regularly volunteer their time, skills and creative insights through community service to help those in need. 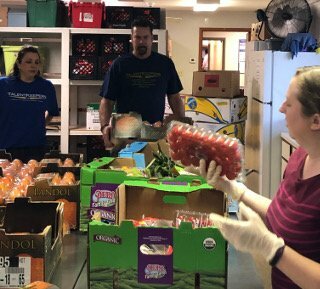 Our employees help make a meaningful difference in the lives of others and have an enduring impact on the communities where they live and work. 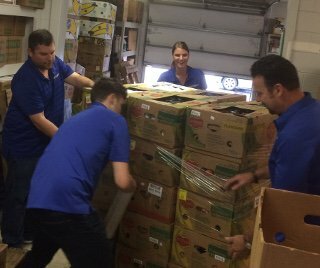 We embrace volunteerism in community service as an integral part of our corporate culture. Catholic Charities of Central Florida’s Mission is to provide vital social services to people in need regardless of their religious, social or economic background, to improve the lives of individuals, families and the community. Their focus is in four areas; prevent homelessness, provide access to healthcare, care for immigrants & refugees and alleviating hunger. 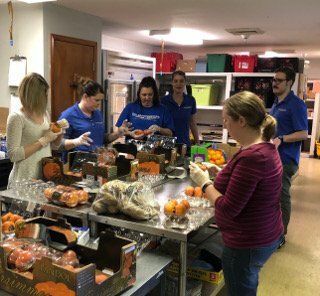 For the past three years, we have been honored to work with their fantastic staff and support their hunger initiative through community service in their Orlando food pantry, sorting and packaging food for distribution. 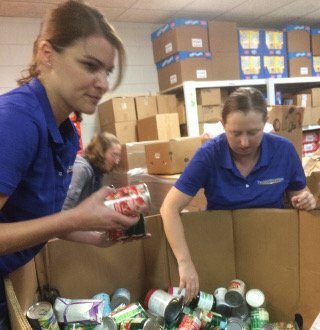 Our team participating in community service by volunteering at Goodwill Industries of Central Florida sorting and cleaning donated children’s books. TalentKeepers supporting the Turn the Pages Foundation as part of our community service initiatives. Chris Mulligan and Jennifer Forst with the new and used school supplies gathered for donation to underfunded schools.